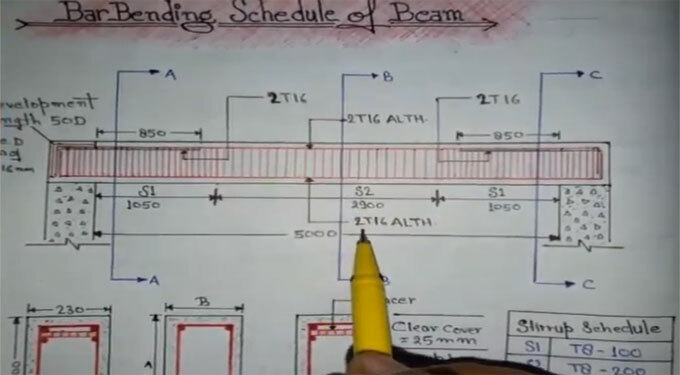 In this construction video tutorial, you will learn how to determine the bar bending schedule of beam through step-by-step processes. Bar Bending Schedule is very important for determining the quantities of the reinforcement necessary for the building by arranging rebars for each structural unit. Bar bending schedule demonstrates the reinforcement calculation toward reinforced concrete beam. It contains the details of reinforcement cutting length, type of bends and bend length. To learn the step-by-step process, go through the following construction video tutorial.